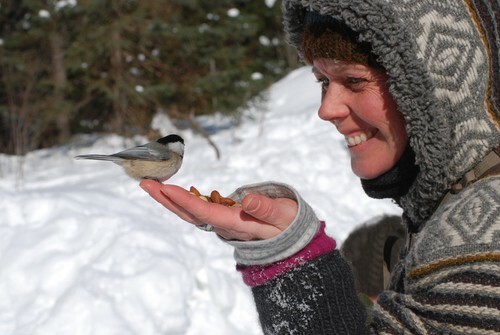 Our experienced staff offers custom training in wildlife tracking and bird language skills. We work with you to design a training program based on your needs and our skills. Our approach to custom training focuses not only on content but also on making authentic connections with your people and organizational goals. Past clients include: U.S. Fish & Wildlife Service, U.S. Forest Service, New England Forestry Foundation, State Fish & Game Agencies, State Cooperative Extension Services, University of New Hampshire, United States Department of Defense, The Wildlife Society, and many nature connection schools. 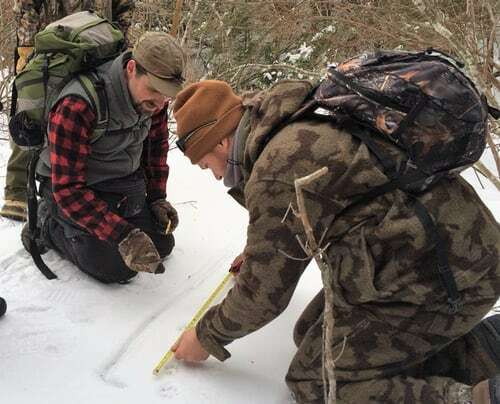 To schedule a custom training in wildlife tracking, contact us. Co-founder Dan Gardoqui is known as one of the top experts in the field “bird language” – the science and art of understanding interspecies communication. Dan has been sharing his knowledge on this topic for nearly 20 years across North America, Europe & Africa. Dan co-designed a permanent exhibit on the topic at the Boston Museum of Science and served as science and audio editor for the top-selling bird language book “What the Robin Knows: How Birds Reveal the Secrets of the Natural World.” Dan’s uncanny mimicry abilities and unique perspective on birds was also featured in this short film. Our bird language experts are certified by Bird Language Leaders, an internationally-recognized center for bird language learning. To schedule a custom training in bird language skills, go to our Contact Us page.